The Saudi-led intervention in Yemen, which began on March 2015, continues unabated, with no clear exit strategy in sight. The intervention force, which at this point mainly includes the Gulf Cooperation Council (with the exception of Oman) as its central active participants, has significantly ramped up its presence in Yemen in the past few days. Although an intervention into Yemen’s chaotic civil war seemed good on paper, considering Saudi Arabia’s historic interests in Yemen and Yemen’s close proximity to the Gulf countries, the intervention has been mismanaged from the beginning. The current failure of the intervention in Yemen is not surprising considering this is the first such case where Saudi Arabia has spearheaded a coalition military campaign in a foreign country. A new, younger leadership in the Gulf is managing the intervention with the most prominent figure being Mohamed Bin Salman, the 30 year-old Saudi defence minister. Although the handling of the intervention has been shambolic, such as the unproductive and damaging Saudi naval blockade, which has caused a humanitarian crisis, the Saudi-led intervention force has been strategic enough to avoid significant military failure. Recently however, the coalition decided to commit troops to help anti-Houthi fighters secure Aden and recapture lost ground, meaning they are likely involved in ground fighting against the Houthis. The risk of casualties naturally increased because of this move, and on September 4th, a single Houthi missile attack on a weapons storage depot in Ma’rib province killed 60 soldiers from the GCC, 45 from the UAE, ten from Saudi Arabia and five from Bahrain. These losses are highly significant; the casualties from the UAE alone constitute the country’s heaviest loss of life in a military operation, far eclipsing the six losses suffered during the 1991 Gulf War. Furthermore, the losses from the Saudi side confirmed that Saudi ground troops were operating in Yemen, something that hasn’t been confirmed up to this point. The response by the coalition to these losses was swift, but mishandled. 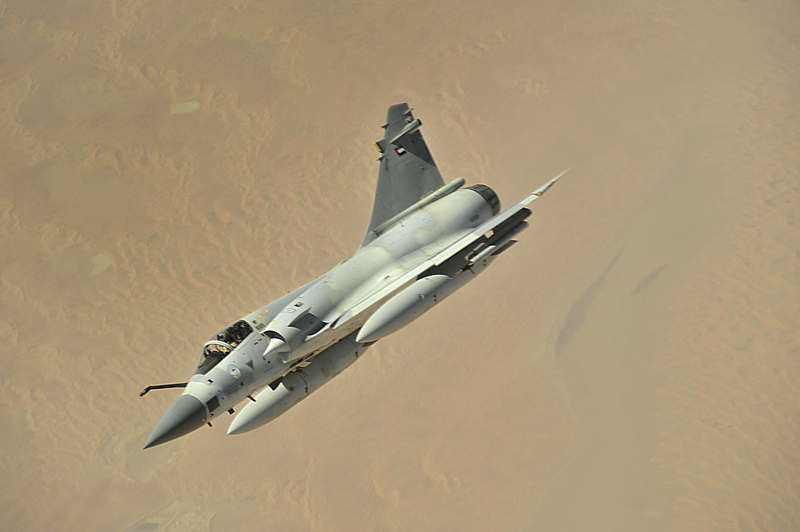 Coalition warplanes conducted its largest ever bombing campaign on the 6th of September, attacking Houthi positions and Houthi command centres across Yemen, but with significant civilian casualties reported. Moreover, contrary to a climb-down of Gulf troops in response to the tragedy, the campaign in Yemen has ramped up. According to an Al Jazeera report, 1,000 Qatari troops, supported by 200 armoured vehicles and 30 Apache helicopters, crossed the Saudi-Yemen border on the 7th of September. Although Qatar has mobilised a handful of warplanes for the intervention, this is the first such case of Qatar committing ground troops in Yemen. The Qatari contingent is headed towards Ma’rib governorate, the same area where the Houthi missile attack occured. More Qatari troops are expected in the coming few weeks to bolster the coalition forces, signalling an important shift in the Yemen war. With an increase in coalition troop numbers in Yemen and with no signs of the war ending soon, the Arab coalition will have to be prepared to sink in even more money and blood into the Yemen conflict. The insistence of the collective GCC leadership to commit to even more potential troop losses indicates the mind-set of a new, more hawkish leadership in several Gulf capitals. The New Syrian Forces (NSF) is a Syrian armed group officially sanctioned by the United States and trained by the Pentagon. The NSF program was launched in May this year and the forces are a part of the Free Syrian Army’s (FSA) 30th division, which consists of around 1,200 fighters. The division was established from several smaller armed groups to streamline the recruitment and training of fighters by the Pentagon, but the division is still largely under development. The Obama administration sees the formation of a moderate, reliable and trained military force that would fight directly with ISIL in Syria as key to the global strategy to degrade and ultimately destroy the organisation. The NSF, however, continues to be far off from fulfilling the administration’s vision. The “ISIL-first” principle of the Pentagon initiative, where Bashar al-Assad’s Syrian government forces are not targeted, is one of two key reasons why the programme hasn’t yet been successful. Only a handful have signed up for the NSF because many see Bashar al-Assad’s government as worse than ISIL and would prefer to fight the government instead. The second reason the program has been so disastrous is that those that do sign up also have to be evaluated through a stringent screening process in order to root out extremists seeking to infiltrate the program. Besides a background check, the screening process involves a polygraph test and a counterintelligence interview. The division’s leaders have complained about such stringent procedures as it saps resources from the actual training and arming of the fighters. Since the NSF program’s launch, only 60 fighters have been successfully trained according to Defence Secretary Ashton Carter in an early July Senate hearing. 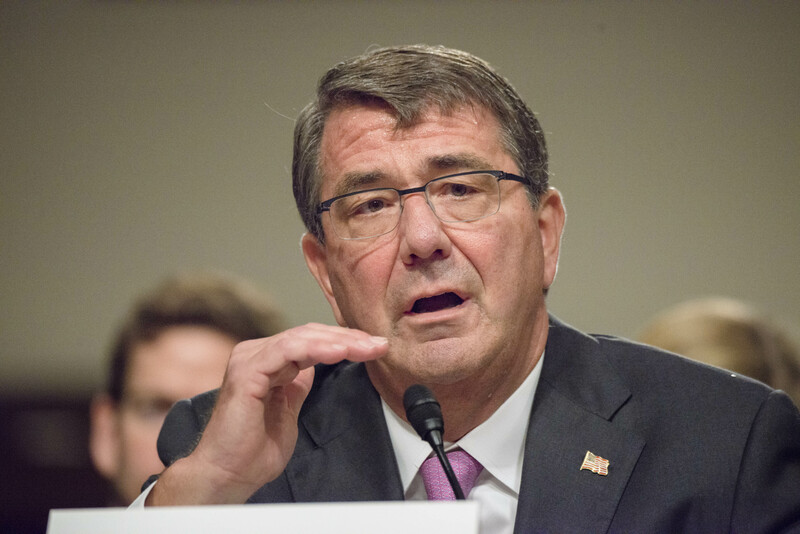 Secretary Carter said that 7,000 potential fighters were undergoing screening but that the number of trained fighters was a lot smaller than he had hoped. The program has a budget of $500 million, of which an astonishing half has so far been spent. This new force remains small and is uninspired and mediocre in quality, as the best opposition rebels are fighting the Syrian government forces and would not like to take ISIL head on. The aforementioned 60 NSF fighters are currently active in Syria alongside the FSA’s 30th division but have run into severe trouble recently, not from ISIL, but unexpectedly from Jabhat al-Nusra, one of the strongest and best-financed armed groups operating in the country. On the 30th of July, Jabhat al-Nusra captured two leaders and six fighters of Division 30. The day after, the Nusra Front mounted an intense assault, with medium and heavy weapons, on the division’s encampment near the town of Azaz in Aleppo province, which is located near the Turkish border. Five FSA fighters from the division were killed in the attack, with 18 wounded and 20 captured by the al-Qaeda linked group. The abductions and the subsequent attacks by Jabhat al-Nusra were seen as a significant intelligence failure in Washington and took Pentagon officials by surprise. The U.S. went to great lengths to defend the 30th Division from the surprise assault on Friday. American warplanes provided defensive support fire through precision air-strikes. The Pentagon trainers had prepared the initial 60 trainees to withstand attacks from both ISIL and the Syrian Army, but never expected Jabhat al-Nusra to mount an attack considering their opposition to ISIL in recent months. Indeed, some officials expected Jabhat al-Nusra to welcome Division 30 as allies in the fight against ISIL. This was a fanciful assumption, and the U.S.-trained NSF, along with the 30th division, now finds themselves with no allies in a hostile and war-torn country. Whilst Turkey goes to war against both ISIS and the Kurdistan Worker’s Party (PKK), President Recep Tayyip Erdoğan is on a trade mission in Asia and has recently concluded a brief visit to China, where he brought a large delegation of business leaders and Turkish ministers to principally secure trade and investment deals. Under Mr Erdoğan, Ankara’s ties with Beijing have improved substantially and China is now the second largest trading partner with Turkey, behind only Germany. The Justice and Development Party (AKP) government see Turkey’s relationship with China as highly strategic and fuelled by economic, political and security interests. Turkey has always trumped up support for the rights of the Uighurs, but with Mr Erdoğan now courting Chinese investment and partnership, he has been facing a difficult dilemma. Both sides have recently reached agreements on energy cooperation and technology transfer agreements. In addition, China has been helping in the construction of a much sought high speed rail link between Ankara and Istanbul. Furthermore, Turkey has been considering to purchase a long-range missile defence system from China in a deal worth $3.44 billion, choosing it over bids from Eurosam and Raytheon/Lockheed Martin. Mr Erdoğan has long considered it a humiliation that Turkey does not have its own missile defence system and has wanted to increase ties with Turkey’s eastward non-NATO allies such as China. This was done despite NATO voicing serious opposition to the purchase, arguing that any Chinese-built system could not be integrated into NATO’s defence shield. The dilemma between protecting the Uighurs or improving relations with China has become even more complicated with the domestic political situation in Turkey. With the AKP losing its majority for the first time in the 2015 general election, Mr Erdoğan has been going to extreme lengths, such as bombing PKK targets, to regain support for the AKP and to hold new elections by the end of the year. If the AKP were to flag up the Uighur issue prominently on its agenda, it could bring some nationalist voters back to the AKP. Mr Erdoğan has stood up for Uighurs before in order to burnish his nationalist credentials. In 2009, after inter-ethnic rioting left over 156 people dead in Urumqi, the provincial capital of Xinjiang, the then-Prime Minister Erdoğan described the violence as “genocide”, which resulted in an angry response from Beijing. Furthermore, when Mr Erdoğan visited China in 2012, his first stop was not in Beijing, but in Xinjiang, the first such visit by a Turkish leader, where he pushed for the establishment of a Turkish industrial zone in the region. More recently, ties between Turkey and China have been strained by the allegation that Turkish diplomats in consulates across South-East Asia have been handing out Turkish travel documents to Uighurs fleeing China. Chinese authorities claim that many of these Uighurs then travel to Syria from Turkey in order to join terrorist groups such as ISIS, which has promised to train and arm Uighurs so that they may carve out an independent state in Western China. In the most recent visit to China concluded on July 30th, Mr Erdoğan manoeuvred carefully on the Uighur issue. Whilst he confirmed to his Chinese counterparts that Turkey upheld the One-China principle and was opposed to any separatist movements against China, he also raised concerns about Beijing’s ban on fasting in Xinjiang during Ramadan, a move which led to protests across Turkey earlier this year. 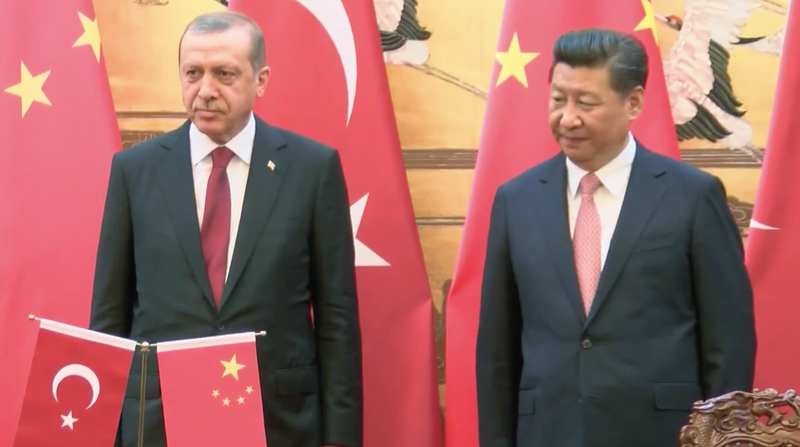 In a sign of China’s acknowledgement of how seriously the Turkish delegation took the Uighur issue, Chinese officials said that Mr Erdoğan was welcome to visit representatives of the Uighur community in the future. Although Mr Erdoğan has overseen an improvement in Sino-Turkish relations during his years in power, the Uighur issue continues to plague the strategic partnership, but in many ways works to his advantage at home, considering his voter base. This delicate line between pursuing economic and security initiatives whilst establishing Turkey as a protector of the Uighur minority will continue to be the norm as long as Mr Erdoğan and his party remains in power. The Turkish general election in June 2015 was a milestone in Turkish politics with the Justice and Development Party (AKP) losing its majority in an election for the first time effectively scuttling President Recep Tayyip Erdoğan’s ambitions to have an executive presidency. Despite the seemingly-spectacular loss by the AKP, the AKP’s position remains incredibly powerful. If you look at the AKP’s political support in terms of votes rather than seats, the AKP did not suffer a major defeat. They gained 16% more votes than the main opposition and received six and a half percent more votes than in their ground-breaking 2002 election (which resulted in a 367-seat supermajority for the party). Despite this, the AKP is seen to have suffered a defeat for two main reasons. Firstly, the party had set itself hopelessly high standards due to its previous successful results and its ambitions to implement constitutional changes for the Presidency. Secondly, the electoral victory of the pro-Kurdish People’s Democratic Party (HDP) was seen as a failure for the AKP as support for the HDP came at the expense of the AKP. Regardless of this failure to achieve a majority however, the AKP will remain in power as the leading party in government, as an anti-AKP coalition is impossible. Since negotiations began on the 15th of July, the HDP and the Nationalist Movement Party (MHP) both dropped out of talks with the AKP, leaving only three scenarios: a grand coalition with the secular Republican People’s Party (CHP), a minority AKP government (18 seats short of a majority) or new snap elections in November. Although initially seen as unlikely, an AKP-CHP coalition is certainly possible, and this option is heavily favoured by the Turkish business community, as new snap elections will increase uncertainty for the rest of 2015. If the CHP were to ever enter into government however, it would severely curtail the powers of the President and his authoritarian policies. The CHP is a long-standing Kemalist and secular party that has become a European-style social democratic party in recent years under its leader, Kemal Kılıçdaroğlu. The CHP has emphasised that if it were ever to enter a coalition, they would push to safeguard personal rights and freedoms and would stress the limits of presidential authority under the constitution, leading to the elimination of the covert budget allocated to Erdoğan. Even more troublesome for the AKP is the fact that the CHP would push for media freedom (the CHP would like control of the public broadcaster, TRT, which has been pro-AKP), the fight against corruption and the return to a peaceful foreign policy. Apart from the Prime Minister, Ahmet Davutoğlu, President Erdoğan has played a leading role in this post-election landscape. Although he is expected to be officially neutral in party politics due to his status as President, he has been anything but non-partisan during and after the elections. Erdoğan feels threatened by the prospect of a coalition with another party, especially the CHP, as they have indicated a willingness to work with the Prime Minister, but they worry about Erdoğan’s intervention in governmental affairs and would like to rein him in. Erdoğan has warned all parties to keep his status out of the coalition negotiations and said he would object to any deal that would dismantle his dream projects such as Istanbul’s third airport and the third bridge in Istanbul. Erdoğan’s fears are amplified by the fact that his office does not have any significant constitutional power, indeed, he has less power constitutionally now than when he was Prime Minister. His power comes solely from his influence within the governing party, so his influence in the Turkish government can collapse even whilst he is President if a coalition were to ever be formed. Because of the threat the opposition parties pose to Erdoğan, he has worked towards calling new snap elections in November in a bid to regain the AKP’s majority and to put his proposed constitutional changes back on the agenda. His eagerness for a new snap election is demonstrated by how he waited several weeks to ask the AKP leader to form a government as he wanted voters to see the chaos of political uncertainty and bickering among parties. The thinking is that the uncertainty and instability created by the elections will make some voters, who had decided to “punish” the AKP, change their minds in a snap election and vote again for the governing party. Erdoğan’s ambition to call new elections is putting him on a potential collision course with his Prime Minister, Davutoğlu. Davutoğlu is willing to form a stable coalition government and negotiate with the main opposition, but Erdoğan’s hatred of sharing power will lead him to object to any compromise Davutoğlu makes to the CHP. Because of the AKP’s intense affiliation with Erdoğan, they are the only party that has the ability to call new elections if they want, which works to their advantage. The outcome of a new election in November however, is unclear. Although it is the hope of the AKP that the HDP’s electoral performance was a peculiarity and unlikely to be repeated again (many ethnic Turks cast tactical votes for the HDP to prevent an AKP majority), there is nothing that indicates that the AKP will get a better result this time around than in the June election. 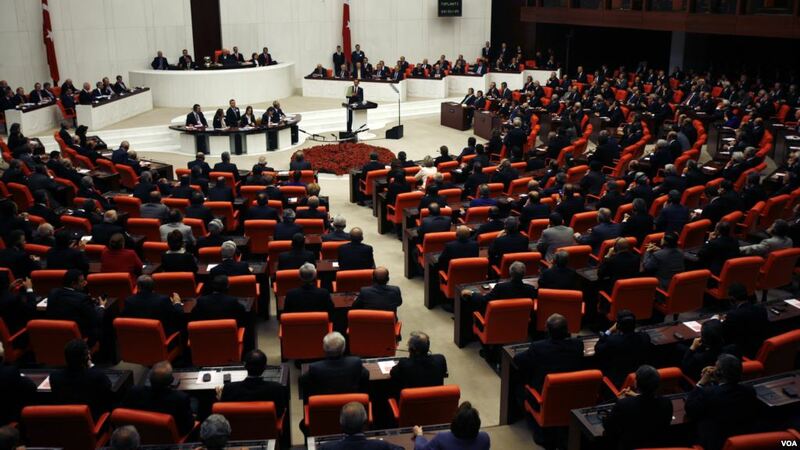 The AKP leadership has been trying to get other parties to agree on lowering the election threshold to 5-7% and would like to implement this amendment before a potential snap election to ensure that the AKP would have more parties to choose from to form a coalition if they were unable to regain their majority again. The very idea of a new election is also undesirable to many as it would mean another six months without stable government in a time of increasing instability in the country. Turkey is facing an economic downturn, with the Lira depreciating more than 40% against the dollar over the last year, unemployment at 10% and GDP growth stagnating at 3%. The instability in neighbouring Syria and Iraq is also a pressing concern for Turkey’s government, with the need to find accommodation and integration for around two million Syrian refugees in the country and the rising threat of ISIS, which recently engaged Turkish forces at the border. These issues require bold and decisive policies such as closing the border with Syria or regularly conducting aerial bombings in northern Syria, policies that should not be taken under a caretaker minority government. The AKP’s model for Turkey has stood firm for many years, and has only now been seriously questioned. Erdoğan made Turkey into a regional power in the Middle East and embraced regulatory neo-liberalism to propel the country’s economy, but these policies are now starting to show their cracks. Another election this year will add even more uncertainty as to whether the model will survive, but it would be a mistake to underestimate the AKP’s enduring appeal among voters. The 2014 Israel-Gaza war decimated the Gaza strip, with around 18,000 homes destroyed or damaged in the densely populated territory by weeks of Israeli airstrikes and shelling. After the ceasefire in late August, Qatar has surged ahead as the leading player in the reconstruction process of the war-torn strip and interestingly, has partnered with Israel. Despite the hardline parties involved in Israel’s new coalition government, there have been important signs that the Israeli government is looking towards peace with the troublesome coastal strip on its southern frontier. Israel and Hamas have had indirect contact for the last several weeks over a possible five-year truce. These secret talks have taken place with high-ranking representatives of Hamas, such as Mousa Abu Marzouk, the Deputy Chairman of the Hamas Political Bureau. There is much to argue over if a peace between Israel and Hamas were to materialize, such as the highly contentious issue of creating a detached floating Gaza sea port, however, an agreement between both parties is entirely possible. The secret talks involving Mousa Abu Marzouk have taken place in Doha and the proposal has been backed by the Qatari and Turkish governments, with the proposal itself based on an outline formulated by UN special envoy to the Middle East, Nikolay Mladenov. These fresh, albeit indirect, talks have also been accompanied by a marked easing of Egypt’s hostility toward Hamas. Egypt’s military has temporarily opened its border crossing with Gaza at Rafah in recent weeks, which allowed thousands to leave Gaza for the first time in months and a stable flow of badly-needed cement to enter the territory. With the relative thaw in Qatar’s relations with President Sisi’s government, facilitated by Saudi Arabia, it has been claimed that Qatar has reached an agreement for these construction materials to enter Gaza. It is more likely however that this was facilitated by Mohammed Dahlan, a key Palestinian figure linked to the friendly relations between Egypt and the UAE, according to sources on the ground. Ever since hostilities ceased between Gaza and Israel, Qatar has been eager to get involved in reconstruction efforts. Of the $5.4 billion that was pledged for Gaza reconstruction in a global conference in October 2014, Qatar alone pledged $1 billion. By comparison, the EU pledged $568 million and the US $212 million. Most of the money that was pledged has not materialized at all almost one year on (only five percent materialized as of February 2015), which indicates a general unwillingness among global donors to rebuild the crumbling strip. However, Qatar is an important exception, as it has been active in overseeing the construction of key infrastructure and homes in Gaza, working not only with Hamas, but also with Israel to ensure Gaza’s reconstruction. Mohammad al-Emadi, the head of the Qatari Committee to Rebuild Gaza and Qatari ambassador to the coastal territory, has recently been shuttling between Israel and Gaza to discuss reconstruction projects (streets, schools, housing units and hospitals) in Gaza. Al-Emadi recently met with the Israeli brigadier general in charge of letting goods and people through Israel’s Erez crossing regarding Qatar’s ongoing projects in Gaza. Indeed, in a sign of Israeli cooperation, al-Emadi last month crossed into Gaza from Israel through the Erez crossing after Egypt refused to allow the Qatari delegation through its Rafah crossing. Although relations between Qatar and Egypt have improved lately, it is still a tense relationship, which is most likely the reason why Qatar has opted to partner with Israel and resort to its assistance. According to the Israeli group Gisha, of the 5 million tons of construction materials required to rebuild Gaza, Israeli officials have so far permitted 1.3 million tons to enter Gaza since September 2014. The vast majority of these construction materials were used for the Qatari-funded development projects. 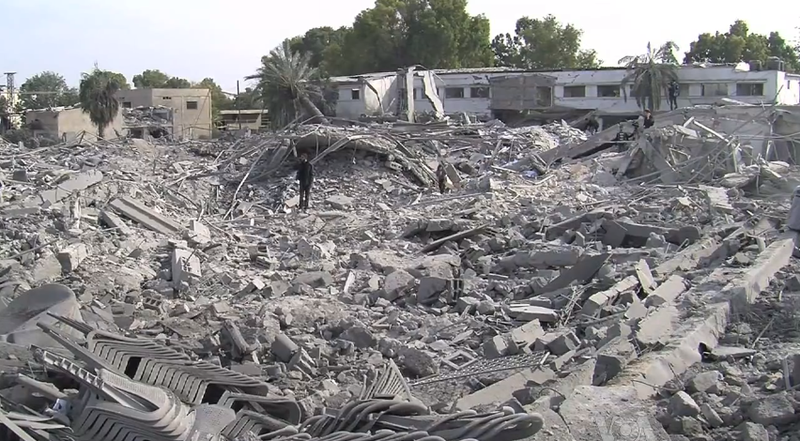 Qatar’s reasoning to get so eagerly involved in Gaza’s reconstruction is relatively straightforward. Qatar has historically had an interest in the Palestinian issue as it is a way for the tiny gas-rich emirate to punch above its weight in regional affairs and gain favourable coverage. More importantly, due to the Palestinian Authority’s reluctance to help reconstruct Gaza, Qatar sees an opportunity to fill in this void and consolidate Gaza’s political separation from the West Bank in order to secure its ambition to become an influential actor in the face of an alliance consisting of Egypt, Saudi Arabia and the UAE. Moreover, if Qatar can fulfil Gaza’s needs for electricity and construction materials, it can fully assume the role of mediator between Gaza and Israel, thus superseding the long-standing roles of the PA and Egypt in this role. On the other hand, Israel’s reasoning to get involved with Qatar is more complex, though it is apparent that it has much to gain from cooperating with it. Although Israel has attempted to isolate Hamas and for a long time publicly accused Qatar of financing Hamas, Israel is currently helping Qatar to partner with Hamas in order to rebuild the strip. This new policy U-turn is explained by Yossi Kuperwasser, the former head of research for Israel’s military intelligence, who said that “better conditions in Gaza would lessen the incentive of Hamas and the population to go again to a war.” There are also wider geopolitical reasons as well for Israel’s sudden cooperation with Qatar. Israel’s new deputy minister for regional cooperation, Ayub Carra, claimed that Qatar shares Israel’s concerns about Iran. In the face of the P5+1 striking a nuclear deal with Iran, Israel has attempted to improve relations with the Sunni Gulf monarchies due to the threat Israel faces from Iran and its militant proxies. This can also explain why Israel is allowing Qatar to remain as the main backer of Hamas. If Qatari support to Hamas was decreased substantially, it would allow for Iran to opportunistically increase its funding for the group and make Hamas more reliant on Iran, a worse case scenario for Israel. In this context of greater foreign competition in Gaza, Fatah is increasingly getting left behind on affairs regarding the territory. With the rise of Mohammed Dahlan and his facilitation of good ties between the Egyptian government and Hamas coupled with Qatar’s efforts to procure cordial ties between Israel and Hamas, the PA is getting increasingly irrelevant in the enclave. Mahmoud Abbas has been angered by Qatar’s support for Hamas as its funding allows Hamas to stay in power in Gaza and prevent Fatah from taking control of the territory. Al-Emadi’s recent accusation that Egypt and the PA misused more than $100 million of the amount Qatar donated to help electricity needs in Gaza whilst at the same time applauding Israel’s genuine efforts in the reconstruction process have reportedly enraged Abbas. Although Qatar’s rulers have made ample adjustments to their foreign policy to make it less adventurous and more in line with the policy of its GCC neighbours, the country is still acting independently in Gaza. This is not necessarily a bad thing, reconstruction has been far too slow since the Gaza war. Fresh infrastructure projects by Qatar, regardless of the political reasoning behind it, and its facilitation of indirect Hamas-Israel talks will go a long way in preventing another devastating war in Gaza. Since the start of Ramadan, there has been a large spike in attacks carried out by the Islamic State of Iraq and al-Sham’s (ISIS) “wilayats” (so-called provinces) operating in Yemen, a disturbing sign of things to come if the diplomatic stalemate in Yemen is maintained. On June 17th, the eve of Ramadan, ISIS claimed responsibility for four car bombs that detonated near two Zaidi mosques and the Houthi headquarters in Sana’a which killed and injured many civilians. Another vehicle-borne IED (VBIED) was used on an ISIS-claimed attack on June 19th near the Qiba al-Mahdi mosque in Sana’a which killed two and wounded six others. Even though it is a possibility that a different terrorist group such as al-Qaeda in the Arabian Peninsula (AQAP) perpetrated these attacks, ISIS has committed coordinated mosque bombings earlier this year and was quick to claim responsibility. This new high frequency of attacks, bombings that specifically target Shi’a sites of worship, could be a sign of things to come from the ISIS group in Yemen for this month of Ramadan. The Yemen affiliate of ISIS emerged towards the end of 2014 and has grown significantly since then, with the aim of eventually eclipsing AQAP, in line with its strategy to become the foremost global jihadist movement. Yemen is a key pillar of ISIS’s global strategy of fostering various affiliates and fuelling sectarian tensions in large part because of the serious security vacuum in the country since the start of the civil war which has proven to be fertile ground for radical extremist groups. Furthermore, ISIS’s central strategy is the need to constantly expand, which means expanding not only in Syria and Iraq, which is now harder to do because of the U.S.-led coalition air campaign in those countries, but to other areas of the disaffected Arab World such as Yemen. Yemen is also important to ISIS because it has historically been a major source of foreign fighters to other areas of the Middle East (Afghanistan, Iraq and now Syria). ISIS would like to capitalise on this lucrative recruiting pipeline in order to bolster its forces at home. The swift Houthi takeover in Yemen has pushed some of the local tribes in the centre and south of the country to work with AQAP, currently the most powerful terror group operating in Yemen with control of about 15% of the country and control of al-Mukalla, an important provincial capital. The ISIS groups in Yemen are trying to imitate this AQAP strategy of allying with some of the local Sunni tribes of the country and combining it with its own strategy of inflaming sectarian tensions through targeting Houthi-affiliated individuals and Shia mosques to stir popular mobilization and support along sectarian lines. In an indication of ISIS’s appetite to compete with AQAP, ISIS attacks are occurring in select areas where AQAP is operating, however, so far AQAP appears unswayed by ISIS pretensions and gains. Although it is certainly true that the presence and power of ISIS “abroad” pales in comparison to their influence within Syria and Iraq, the ISIS presence in Yemen has swelled steadily. It has grown proportionally to the gains made by the Houthis in their southward offensive earlier this year. Pro-ISIS groups have proclaimed themselves “wilayats” of the ISIS caliphate and there are now seven known ISIS groups in Yemen which are operating along the frontlines of the civil war. Although AQAP is the most dangerous al-Qaeda group with the capability to commit terrorist attacks abroad in Western countries, ISIS remains significantly more extreme in its tactics and its rise in Yemen will lead to further radicalisation. For example, AQAP still strive to respect the wishes of its tribal allies and acts with a degree of restraint, such as its apparent refusal to bomb mosques, which is in marked contrast to the ISIS strategy. Yemen is of great strategic importance to the Middle East. The stability of the Gulf states and its subsequent effect on the world’s energy security, the cost and security of every cargo and combat ships that goes through the Suez Canal, the economic stability of Egypt, and the security of Saudi Arabia’s key non-Gulf port at Jeddah are all at stake if the current trend towards chaos is maintained within Yemen. What makes the conflict even more dangerous is Yemen’s incredible poverty. With a lack of developed industries and sky-high unemployment, coupled with one of the highest population growth rates in the world and nearly 63% of its population under 25 years old, Yemen is the world’s most fertile ground for political extremism, terrorism and sectarian violence. Yemen could very well turn out like war-torn Syria, with over half the country carved up between Al Qaeda and ISIS affiliates, if key international powers do not make comprehensive changes to their hands-off approach on Yemen. Firm Western leadership is needed on the issue instead of allowing Saudi Arabia to lead a brutal and mishandled air campaign and blockade as part of its proxy war with Iran, which exacerbates sectarian tensions. 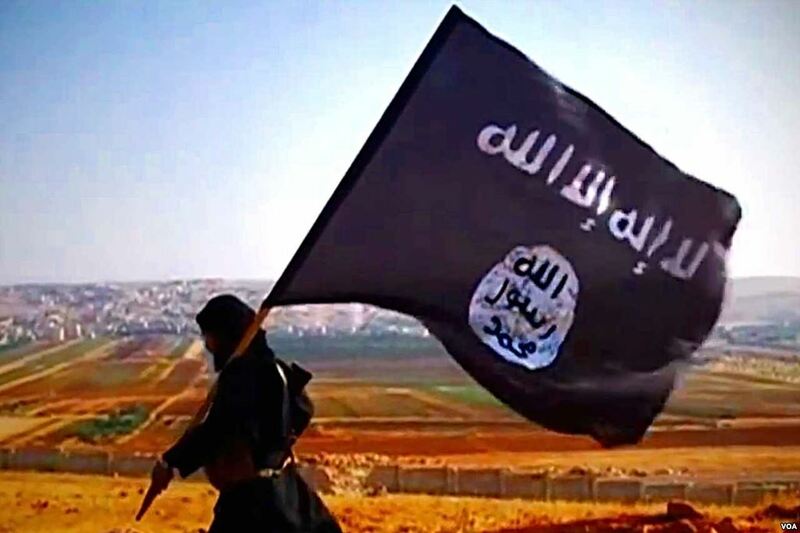 In addition to reining in the Saudi-led coalition, the U.S. and other leading Western powers need an overall ISIS strategy that seeks to destroy the terror group as an organisation and not just to root out their influence within specific countries or regions. The growth of ISIS in Yemen is a key sign that the U.S.-led air campaign against the group is not effectively stemming its expansion. In addition to Yemen, ISIS has thus far successfully extended into Libya and the Sahel. However, in a sign of ISIS’s lack of universal appeal, it has so far failed to make significant inroads in Afghanistan and Pakistan, which suggests that the expansion of ISIS certainly isn’t impossible and can be dealt with. Nevertheless, with frozen peace negotiations and no end in sight to the Houthi conflict, there is a certainty that more will be heard of ISIS in Yemen in the near future.